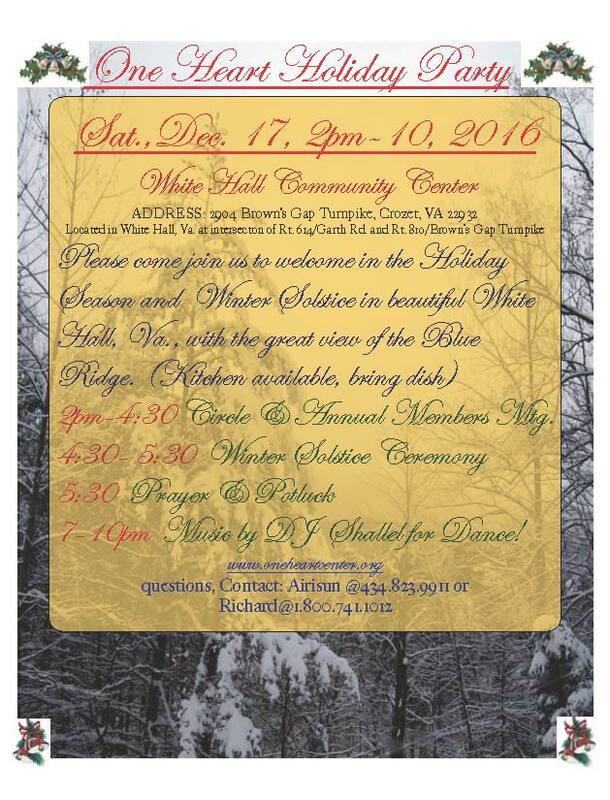 YOU ARE INVITED to the Center of the One Heart Holiday gathering on Saturday, December 17 2016 at the Whitehall Community Center. WHO: Teachers, healers, artists, musicians,and spiritual seekers in the greater central Virginia area. Please bring a friend, please bring your card or flyers for the networking table. WHAT: Holiday gathering for One Heart family, friends, and family. Opportunity to meet and greet like minded starry family. WHEN: Come at 1:30 PM if you are available to help with set up. 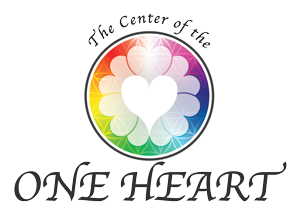 Circle time begins at 2 PM, followed by Center of the One Heart Annual Members meeting with overview of events for 2017. At 4:30 PM we will focus our heart attention on the upcoming winter solstice. At 5:30 PM we will share a potluck dinner; please bring a dish to share. At 7 PM our own Shallel Octavia will play some live music and host a DJ dance party so bring your dancing shoes. If you are a musician please bring your instrument and voice.